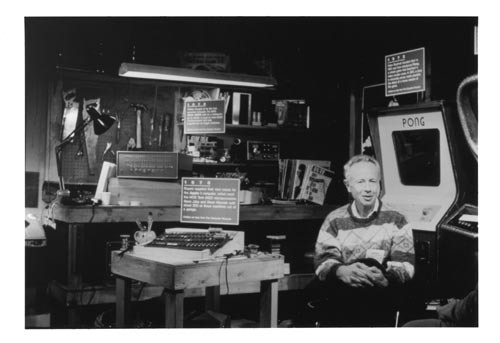 B&W image of Andy Grove in an COMDEX early computer exhibit. He is wearing a sweater and sitting relaxed. Exhibits include a PONG, tools hanging on the back wall above a workbench and copies of BYTE magazine. Each of the items have a dated label describing the item.